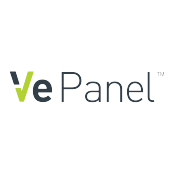 VePanel represents a revolutionary shift in the approach to onsite engagement. 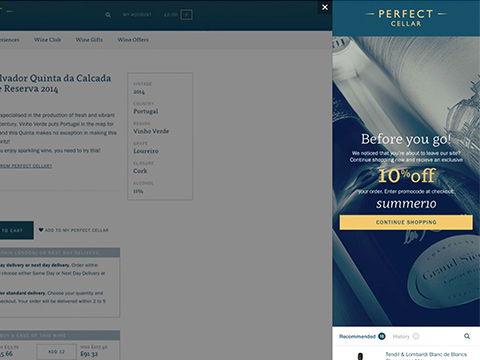 It is a bold movement away from traditional overlays to a far more user-centric concept, activated by consumer abandonment and time inactivity triggers. VePanel offers a unique experience for the end user through targeted messaging and features displayed. 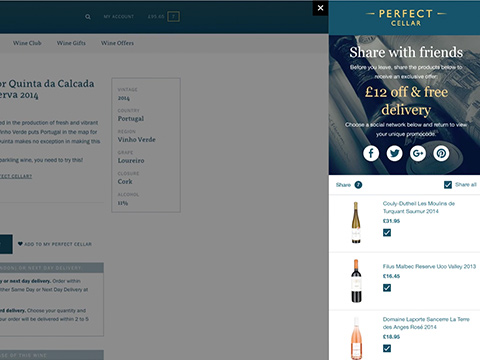 This targeted approach provides a sophisticated cross-site consumer driven tool, providing a brand-native customer experience. 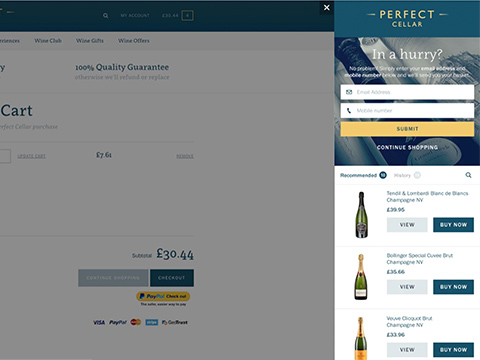 Working with over 10,000 eCommerce customers and analysing billions of online audience data points, we understand what influences customers to convert online. VePanel harnesses this insight to provide intuitive and relevant content to your customers, driving them to make a purchase. If a customer shows signs of leaving your site such as exit intent, clicking to exit the page or being unresponsive, VePanel is launched. Entering from the right of the website, VePanel is fully integrated into your site making full use of browser real estate. Working across your site, VePanel seamlessly engages your customers throughout the user journey. Provide a unique customer experience every time. Once you click to install the VePrompt App, our script is automatically configured onto your website. We will also produce a design template for you and answer any questions before you start your campaign.